2017 was one hell of a year for many folks around the world, but especially here in the United States and in the past few months, right in Tinseltown itself what with the purge of (majority-wise) gross old pervy white men. As for me? 2017 was a year significant in the sense that I never wavered whatsoever in my confidence to keep going in this unpredictable acting career. No agonizing self-doubts, no breakdowns if I ever wanted to continue or not, no jealousy whatsoever of my peers who have skyrocketed ahead, I was absolutely astute in my standing as an actor. Okay that’s a complete lie, I’ve had all of those at least once this year. If there is one thing I am at peace with is being OK with not being OK.
That these moments do happen, even if I am disappointed in myself that I would never get that petty/mopey/jealous/emotionally distraught over a career that was never guaranteed to be stable in the first place. * Though I only booked one primetime costar (a nonspeaking one at that) and one national commercial (which may never air) for my talent reps, this year marked the largest role I’ve ever came close to booking: a large recurring guest star for a TNT show playing a character type I never imagined playing : charismatic handsome Korean immigrant dad. Yes, I can get the Korean immigrant aspect since that’s in my wheelhouse, but the charismatic handsome dad part? Damn. That the TNT network fought over me and another guy for 4 days? What an honor. That I didn’t book it in the end? All cool, I’m proud that I even got that far and a validation to my agents that I can handle roles this significant. * Yet another reminder of the value in self submitting for projects. I’ve met many wonderful indie and student film makers (USC, you doing good) this year and I will continue to do so for 2018 and beyond. In the stats below, I’ve booked more projects on my own than through my agents. Granted, most of them were non-paying but the experience was more than worth it. Like doing my very first virtual reality short film? What a trip that was. * 3 offers for three paid short film gigs that lets me flex my acting muscles being a North Korean baddie, an against stereotype comic relief, and a romantic leading male. * My Korean short film Lost Dogs winning Best Drama at the NBCU Short Film Festival and my main actress taking the NBC holding deal. To play her male lead comedic counterpart as the con-artist loser brother and speak entirely in Korean was a challenge that I enjoyed immensely and I’m proud of how far our lil’ short film have taken us. * Because I’m a theatre lover, it was a dream to book a regional tour play on my own through Elizabeth Barnes Casting. Though I’ll be juggling doing pilot season remotely in 2018 while in Arkansas from February to beginning of April, I am ecstatic to take the opportunity to do a part that significant in a state I’ve never been to before for a theatre company that I’ve heard such swell things about (check out TheatreSquared). 2018, I am ready to awkward dance with you. I am ready for you, 2018. 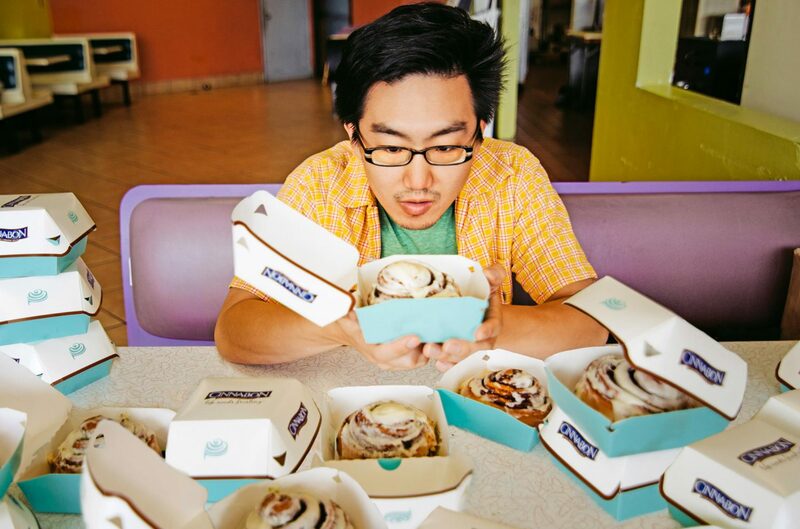 Click to follow this blog and receive CInnabontastic updates.